This programme brings together performances and a talk by Pauline Oliveros; an evening orbiting the legacy of Meredith Monk; and a day of talks and discussions with contributions by Ute Meta Bauer, Cosey Fanni Tutti, Nina Power, Tara Rodgers and many more. The events are realised as a collaboration between CRiSAP, Electra and Tate. 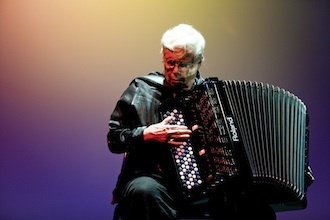 Pioneering composer, performer and humanitarian Pauline Oliveros, who celebrates her 80th birthday this year, gives a solo performance and a talk entitled 'Archiving the Future: The Embodiment Music of Women', followed by a performance of her 1970 score To Valerie Solanas and Marilyn Monroe in Recognition of their Desperation in the Turbine Hall. This performance and screening programme orbits the legacy of avant-garde pioneer Meredith Monk. Featuring work by artists Sophie Macpherson, James Richards, Cara Tolmie and Sue Tompkins and rarely seen films by Monk - curated by Isla Leaver-Yap. 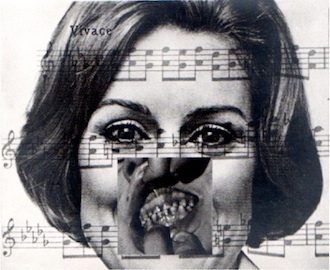 Exploring and developing emergent feminist discourses in sound and music, whilst challenging standard readings and approaches to feminisms and the sonic, this symposium brings together contributions by musicians, artists, academics and writers, including Ute Meta Bauer, Sonia Boyce, Georgina Born, Viv Corringham, Cosey Fanni Tutti, Lina Dzuverovic, Catherine Grant, Emma Hedditch, Anne Karpf, Cathy Lane, Anne Hilde Neset, Maggie Nichols, Nina Power, Tara Rodgers, Salomé Voegelin. 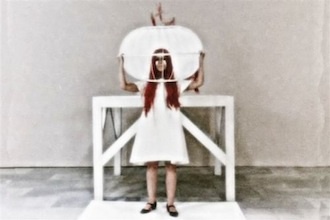 This programme marks the donation of the Her Noise Archive to the University of the Arts London Archives and Special Collections housed at London College of Communication, and is realised as a collaboration between CRiSAP (Creative Research into Sound Arts Practice), Electra and Tate. To unsubscribe from these emails please click here.